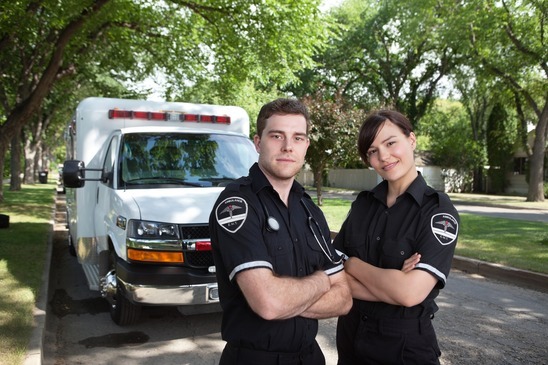 How effective are warning lights and sirens (WLS) on an ambulance? Now, that is a question which several states, institutions, agencies, and hospitals have been trying to answer. What might surprise those reading this article is that the general consensus is that emergency warning lights, in most cases, are overused, yet providers, have not modified their employment of them. What conclusions can be drawn from the ever-increasing research into this particular area? And...what can be learned from the research to reduce the problems associated with WLS? Ambulance Operations and Best Practices was a research study conducted in 2015 by the Department of Homeland Security, Science and Technology Division, but it DOES NOT establish DHS policy nor offer best practices in the use of emergency lights. What it DOES DO is to inform various policy-making agencies of their wide-range of findings so that the interested groups will establish their own policies. As imagined, the 46 page report covers numerous topics regarding EMS services, but for the purpose of this report, only the findings regarding Warning Lights and Sirens will be addressed. Who Decides When to use WLS? The report recommends that the use of ambulance lights and sirens be determined by the senior EMS professional in charge, after considering 2 factors: the gravity of the initial dispatch information, and second, the patient’s severity and level of stabilization after initial care are provided at the scene. The senior paramedic has the choice to either downgrade or upgrade the use of WLS while transporting the patient to the hospital. It is an arbitrary choice on the part of the provider. The DHS study emphasizes that the choice of light colors on an ambulance is not as important as their conspicuity. They must contrast with their surroundings; that is the most important aspect of ambulance lights. There is a preference for fluorescent yellow and orange for these colors were best seen against a number of different backgrounds. But the research concludes there is no statistical difference in the daytime conspicuity of fluorescent red-orange and fluorescent yellow-green; although yellow-green is brighter. What matters is visibility according to them. A wide range of other factors besides light colors also contribute to effective ambulance operation. The visibility and recognition of ambulances is enhanced by retroreflective conspicuity treatments (at night), lettering and graphics, and color schemes of the overall vehicles. Speed is another factor that affects performance. According to this report, ambulances should travel no more than 10 mph over the posted speed limit, for too often, they collide with other vehicles. Driving to and from accident zones is risky because any first responder rushing to an accident will execute frequent lane changes and passing maneuvers. EMS drivers must be extra vigilant especially at intersections because the constant unknown factor is whether or not motorists and pedestrians are aware of their presence. Accidents often happen between EMS units and motorists, or between motorists themselves, an occurrence commonly known as the wake-effect. Many reports have documented how many accidents occur when ambulances are ‘on the move.’ What is still not known is what actually causes them. The analyzation of 73 respondents in the DHS study indicated that 78% were either personally involved in accidents with motorists or had witnessed the wake-effect as the ambulance passed by vehicles. Evaluating the factors that cause the accidents is a long process and many aspects must be taken into account before stating definitively what the causes are. One thing that is now being considered is that even fender benders and other small collisions without injuries create economical repercussions that should be not be forgotten when evaluating the costs and benefits of lights and siren policies and regulations. Levick (2008) reported that wake-effect crashes occur with a frequency 5 times greater than accidents involving an ambulance and a motorists. A National Institute of Health Study in conjunction with the Western Journal of Emergency Medicine published the comments of EMS provider participants regarding their interaction with warning lights and sirens. Four questions were presented to them regarding their personal views about the functioning of emergency flashing lights. Responders were questioned about how they felt about the usefulness of warning lights and if they caused collisions, whether they improved patient care, and if they reduced the time it took to transport patients. At this time, however, no study has actually been created to verify the first responders’ opinions. Perhaps, a study should be conducted with the aim of determining how well educated and prepared motorists are to deal with their encounters with emergency vehicles, especially at intersections, and how flustered motorists get when they see flashing lights and hear high-pitched sirens. There is also the possibility that agitated, inexperienced drivers could be running into each other because they are in a stressful situation and get confused. According to Move Over America statistics, 71% of motorists don’t know what to do. Until enough studies are conducted in these areas, can WLS be 100% at fault? It is interesting to note that there are several different studies that offer findings to better understand the use of flashing lights and sirens. The Sanddal Report (2008) states that most collisions with ambulances occur when the lights are flashing and the sirens are wailing. Addario (2000) and Kupas (1984) confirm that response times are only slightly quicker when WLS are employed. The consensus is that running lights and sirens must be weighed against several factors including public safety, for they might be doing more harm than good. 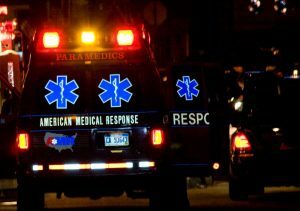 Providers are well aware of the risks posed by ambulance lights and sirens to themselves, their patients, and to the public. But they, nevertheless, disregard these risks according to the NIH study because there are no rigid protocols in place despite the large number of collisions. It is left to the discretion of the senior provider on board to decide how to use WLS. Regardless of studies and specific findings, there is still no national consensus on how to address the use of emergency flashing lights while traveling to the scene or when transporting the patient to the hospital. Until there is a comprehensive effort on the part of authorities to coordinate all of the findings in order to develop a national standard for the use of emergency lights, providers anywhere and at any time can ‘run’ them any way they want.